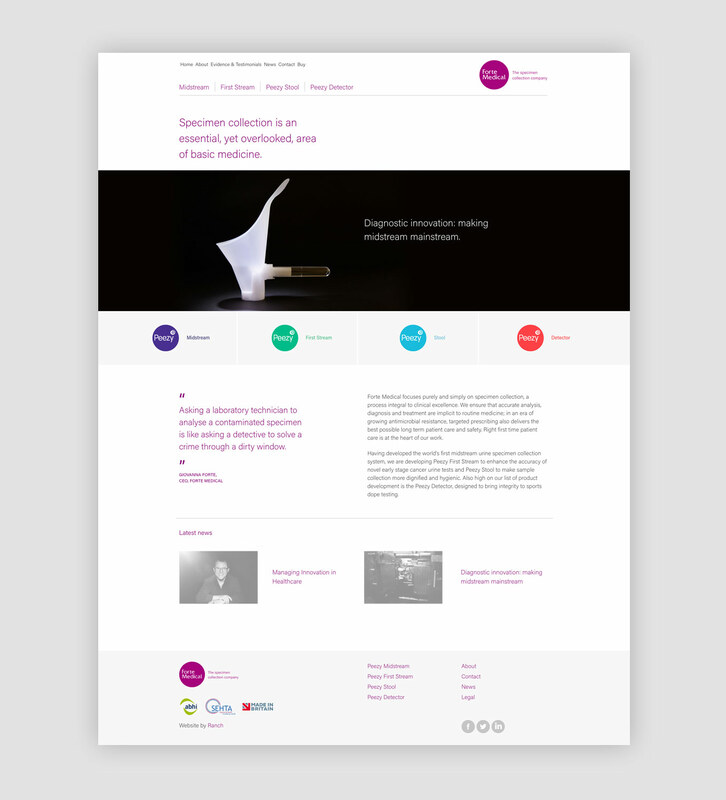 We worked with Forte Medical on a new website design to showcase their range of medical collection devices. 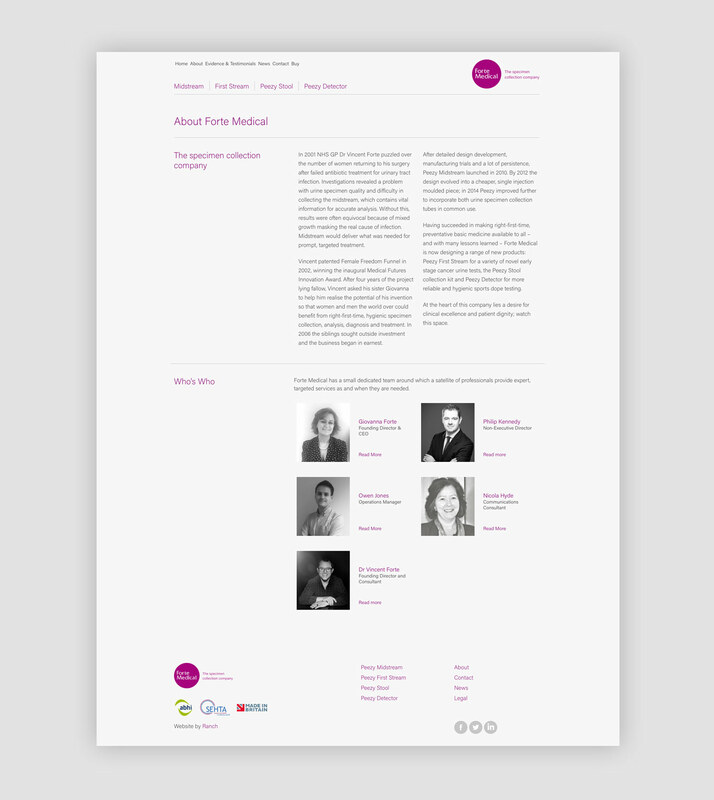 A clean and minimal design across all web pages reflects the area in which Forte Medical operate. The website is built on the Wordpress platform which allows content to be easily updated and amended as required.